PÉRINAULT (Perrinault), JOSEPH, tailor, fur trader and dealer in furs, seigneur, office holder, and politician; b. 8 Oct. 1732 in Montreal (Que. ), son of Toussaint Périnau and Marie-Joseph Cusson; d. 31 Jan. 1814 in Sault-au-Récollet (Montreal North). Joseph Périnault belonged to a family that had probably arrived in New France around 1680. His grandfather, Jacques Périnau, was a mason by trade, and in 1688 at Boucherville had taken as his second wife the widow of a dealer in pelts. They had eight children, among them Toussaint, who in turn had 13 children, Joseph being the seventh. Joseph worked as a tailor in Montreal until 1764, but he was also interested in the fur trade and in 1752 had hired himself out to René de Couagne* to go on an expedition. By 1765 he was ready for action on a larger scale and fitted out his first canoe, with a four-man crew bound for Michilimackinac (Mackinaw City, Mich.). In April, in partnership with Montreal merchant Pierre Foretier, he joined with two other merchants for a trading expedition; he himself acted as resident at Michilimackinac. Following the death of Marie-Élisabeth Harel (whom he had married on 14 Nov. 1757), on 8 Jan. 1766 in Montreal he took as his second wife Élisabeth Guyon Desprez, the daughter of an important dealer in pelts, who was about 26. In 1767 Périnault tried his luck on his own again in the trade. Two years later he invested £400 to fit out a canoe with a crew of 8, and the following year put out £750 for 2 canoes and 14 hands. In the period 1772–74 his investments reached a peak, at £1,500 annually, and the expeditions consisted of 3 or 4 canoes with 25 to 32 crewmen. But in 1775 his financial engagements fell to £800, and two years later were just £150. His former partner Foretier, who was now working with Jean Orillat*, put £4,550 into the fur trade in 1774 and went ahead with his largest investment, £5,375, in 1777. This was the last year in which Périnault seems to have been directly involved in the fur trade. He may have outfitted canoes after 1777, but without taking part in any expedition himself. Having invested directly in the fur trade for some 10 years, Périnault reduced his activity to guaranteeing other traders’ expeditions. In this respect his career evolved in a manner similar to Foretier’s, although on a more modest scale. From 1777 to 1786 Périnault, on his own or with Maurice-Régis Blondeau and Gabriel Cotté*, stood security for £5,000 in all, a sum that served to fit out at least 8 canoes manned by 69 crewmen; Foretier guaranteed nearly £10,000 in the period 1777–82. Like many fur merchants Périnault was interested in holding both seigneurial and other properties. On 9 Oct. 1765 together with Foretier he bought three-quarters of the seigneury of Île-Bizard, as well as three-quarters of the sub-fief of Closse, part of which was in the faubourg Saint-Laurent; on 28 October the new owners agreed with the Sulpicians, who were the eminent seigneurs of the Île-de-Montreal, to put the sub-fief into roture (for an annual rent). Two years later Périnault sold his share in both properties to Foretier. In late 1772 and early 1773 he and some others, including Foretier and David Chabrand* Delisle, requested a grant of crown land, apparently without success. Having bought a vast tract from the Sulpicians for about £3,500, Périnault and another fur trader, Jean-Baptiste-Amable Durocher, gave a small piece of it to the town of Montreal in December 1803 for a public market. This gesture was not, however, entirely disinterested, since the value of the whole site was likely to rise following the creation of a market. Like most merchants, Périnault was led to cross the Atlantic several times for business or personal reasons. In August 1782, for example, he announced that he was leaving for Europe and pressed his debtors to settle with him. He returned to the province in June 1784 with Foretier. In 1790 he was in France, at Senlis, where his son Pierre-Joseph was studying theology. In November that year Bishop Hubert* of Quebec took advantage of Périnault’s being overseas to ask him to take care of his temporal affairs in France, and the following October wrote to him there thanking him for the services he had rendered. Périnault came back briefly to the colony, left again for England in 1792, stayed in France once more, and then returned home in July 1793. Périnault was a man of some consequence in the Montreal community. He was a churchwarden in the parish of Notre-Dame and late in 1781 was delegated by the fabrique to buy a piece of land in its name. That August he had been a witness at Pierre-Louis Panet’s marriage with a daughter of the merchant Jean-Gabriel Cerré. 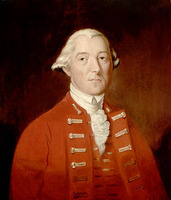 In 1786 and 1787 he was listed as one of the people consulted by a committee of the Legislative Council set up by Governor Lord Dorchester [Guy Carleton] to inquire into trade and police in the province [see William Grant (1744–1805)]. From 1796 until at least 1800 Périnault was a justice of the peace for the District of Montreal. In June 1801 he was made one of the Montreal commissioners for the relief of the insane and foundlings; his appointment was renewed in 1804. Two years earlier he had been appointed to a committee established to promote the growing of hemp. Being in favour of constitutional reform, Périnault had joined the committee of Canadians which was created in 1784 in Montreal to work for it and which counted among its members notary Jean De Lisle and the merchants Foretier, Blondeau, and Pierre Guy. It is therefore not surprising to find him among the members of the association funded in 1794 to support the British government, to see him on the executive committee of this organization’s Montreal section, which was responsible for recruitment, and even to find him twice a member of the House of Assembly established under the Constitutional Act of 1791. 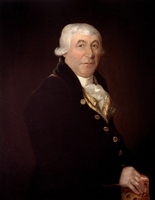 From 1796 to 1800 he was one of the representatives for the riding of Huntingdon; then from 1800 to 1804 he represented Montreal West with James McGill. During his first term he voted on 11 occasions but in his second he did not participate in any vote at all; like many members who did not live in the town of Quebec and who received neither salary nor allowances at the period, he may have been finding it difficult to carry out his duties. 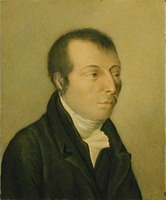 When he retired Périnault went to live with his son, who was parish priest of La Visitation-de-la-Bienheureuse-Vierge-Marie at Sault-au-Récollet from 1806 until 1816. He died there on 31 Jan. 1814, leaving Pierre-Joseph an income of £30 annually. ANQ-M, CE1-4, 2 févr. 1814; CE1-51, 3 oct. 1718, 8 oct. 1732. PAC, RG 1, L3L: 3604–45; RG 4, B28, 110–15. “L’Association loyale de Montréal,” ANQ Rapport, 1948–49: 258–59, 261, 263, 267–69. Docs. relating to constitutional hist., 1759–91 (Shortt and Doughty; 1918), 2: 900. “État général des billets d’ordonnances” (Panet), ANQ Rapport, 1924–25: 248. Quebec Gazette, 9 Sept. 1779; 6 Dec. 1781; 29 Aug., 31 Oct. 1782; 17 June 1784; 28 April, 19 May, 23 June 1785; 11 July 1793; 17 July 1794; 5 March 1795; 25 July 1799; 20 May 1802; 9 July 1821. Allaire, Dictionnaire, 1: 424. F.-J. Audet, Les députés de Montréal, 18, 50, 124, 168–70. Caron, “Inv. de la corr. de Mgr Hubert et de Mgr Bailly de Messein,” ANQ Rapport, 1930–31: 238–39, 256. Desjardins, Guide parl., 130, 135. Massicotte, “Répertoire des engagements pour l’Ouest,” ANQ Rapport, 1942–43: 348–53. “Papiers d’État,” PAC Rapport, 1890: 209. Quebec almanac, 1797: 131; 1798: 85; 1799: 79; 1800: 91; 1801: 78; 1805: 20. P.-G. Roy, Inv. concessions, 3: 181; 5: 151. Tanguay, Dictionnaire, 6: 306. J. E. Igartua, “The merchants and négociants of Montreal, 1750–1775: a study in socio-economic history” (phd thesis, Mich . State Univ., East Lansing, 1974), 84, 115–16. Miquelon, “Baby family,” 182–95. Tousignant, “La genèse et l’avènement de la constitution de 1791,” 309–10. Hare, “L’Assemblée législative du Bas-Canada,” RHAF, 27: 375–76. Fernand Ouellet, “PÉRINAULT, JOSEPH,” in Dictionary of Canadian Biography, vol. 5, University of Toronto/Université Laval, 2003–, accessed April 26, 2019, http://www.biographi.ca/en/bio/perinault_joseph_5E.html.